more updates... btw, really appreciate all the feedback/tips I'm getting here. thanks! - leaning towards this rear http://www.9inchfloater.com/CompleteRrEnd/CmplteRrEnd_28_31.htm it's a 9" floater, 31 spline axles with 11.5" rotors and wilwood aluminum 4 piston calipers. Some stock Mustang wheels are 17x9. '03-'04 Cobra fronts, 10th anniversary Cobra, etc. I don't know the weights though. Weights = heavy, but cross the lightweight bridge when you get to it. I recently picked up a set of 4 OEM 2003 Cobra wheels and a set of 4 chrome/Chinese 1995 Cobra R lookalikes for $150 per set on Craigslist. Budget rules over here. If you are buying chrome plated wheels, then they are likely Chinese lookalikes. With that being said, I haven't had any bad luck with Chinese wheels (yet), as I am currently running 18x9 FR500 lookalike wheels with 255mm Hoosier R6s and I have run 16x8 Cobra R lookalikes with 255mm RA1s in the past. Konig Villain = junk, IMO. They have a tendency to crack at the spokes (there is a thread about them somewhere over at Corner-Carvers.com). I picked up a set of 4 of them from Craigslist for cheap with 1 cracked wheel (and no visible damage or curb rash) with the intention of replacing that one, and ended up changing my mind and selling the good ones to guys with broken spokes and basically just getting my money back. They are also made in Taiwan. thanks for the wheel info. you don't happen to have some real world weights for those chrome Rs do you? anyway, I already bought the MB wheels. I'm getting ready to buy the tires now. I'm getting RA1 275/40 17 (obviously). anyone recommend a place to get them from? also, does everyone get them shaved? if so, to what depth? I believe they come with 8/32nds of tread. also, does everyone get their tires/wheels balanced? I have all mine balanced.Most people shave to 4/32.Phil's tire are about the cheapest I've found and they do shave as well. One of my chrome Cobra R 17x9s weighs 23 lbs, per my bathroom scale. I like Ultrashield seats. I'm 6'4" 230 so nothing from Sparco/Cobra etc. etc. fits me. I was looking at a Sparco Evo 2 Plus which was supposedly for tall drivers, but it was narrower in the hips and my back still covered the harness openings. Furthermore, the best discounted price I could find new was over $700 + shipping. I got a custom fitted Ultrashiled for $540 to my door. It's basically $100 more for a custom seat.... money well spent IMO. +1 on the Ultrshield seats. VERY good quality and fit for the price. Also great company and people to work with! Hey Mark, thanks or weighing it... 23lbs is pretty good. should I get a road race oil pan, an accusump or both??? seats... found a couple of used seats locally. they're both a couple of hundreds dollars less than what a new kirkey or ultrashield will cost. opinions on these seats? also, still hoping to get some feedback on my road race oil pan / accusump question above. thanks! I have both in my car... Using a canton RR pan, with the accusump mounted along the passenger-rear seat floor. Figure cost to do around 3-400 considering the lines, valve (esp if using electric), mounts, etc.. I used a "T" fitting in my oil cooler return line. Rebuilding an engine due to oil loss damage makes that seem cheap! A buddy of mine forgot to tighten his oil plug in his pan. Dumped oil along the front straight at VIR. Engine was fine, maybe due to the extra 3qts he had in the sump! hey Ed, thanks for the info. my MB Weapon wheels showed up today. 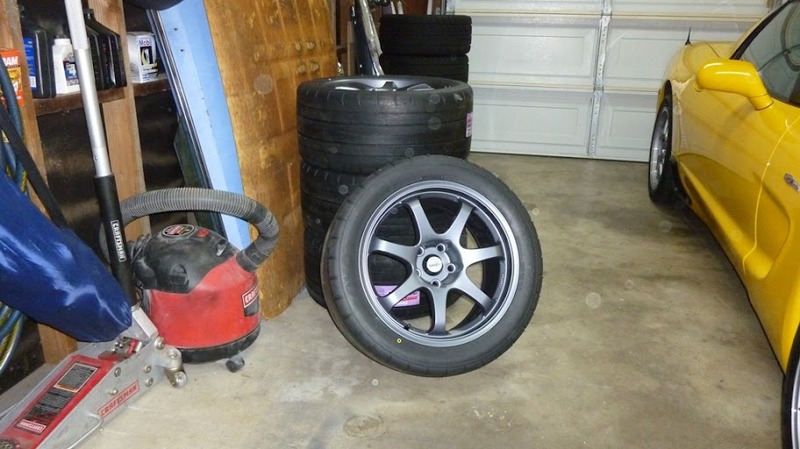 I'm going to go to AIM Tires at Infineon on Thursday and buy/get the tires mounted. I got one response to shave to 4/32nds... can anyone else comment in on this topic? 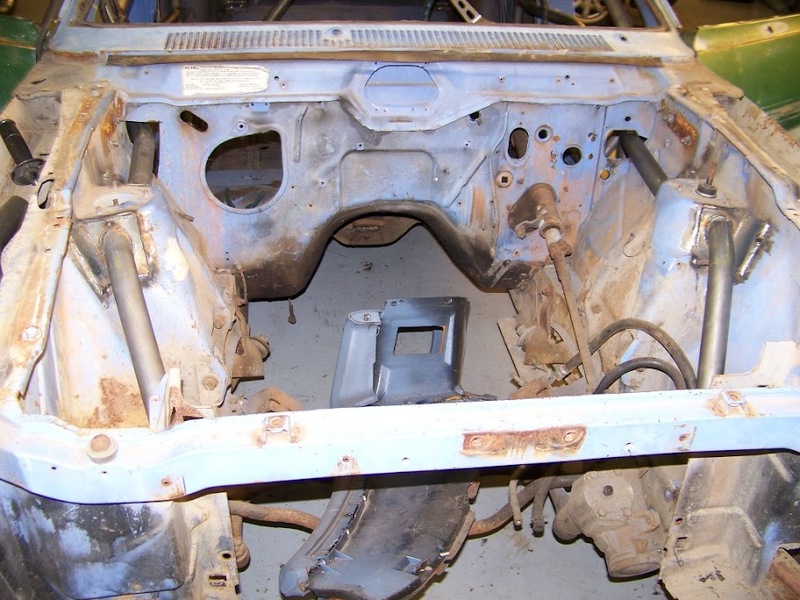 car goes to cage builder on Friday. was hoping to get it there sooner but that's the earliest I can borrow my friends tow rig. Definitely both. My personal experience is that most road race oil pans don't work very well, and only get one with a properly designed road racing pickup to match the pan. 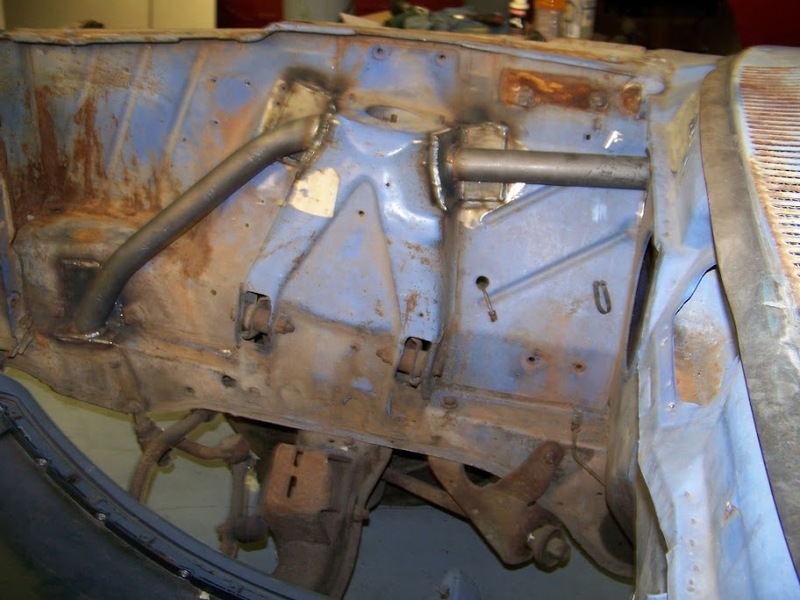 The pickup must cover most of the baffled area of the sump...If not beware as the accusump will likely go empty on long runs. Please don't ask me how I know this. For the accusump run a 3 quart capacity, and no less. 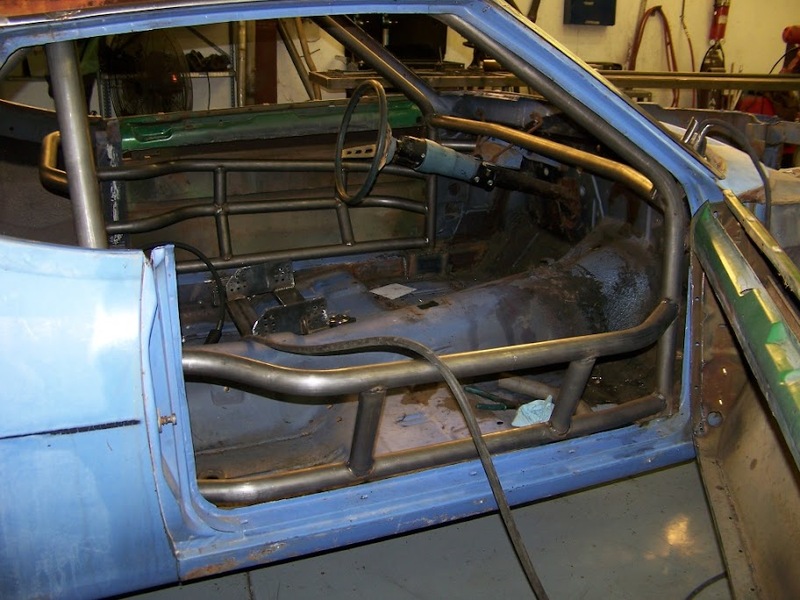 You can mount the accusump in the right rear of the car to improve the weight distribution. The road race pans are marginal and the accusump is the required band aid. If you look at the point structure: Reliablity is paramount to finishing well in the series. Several DNF's will sink you. question of the day. ran into some guys at Infineon when I was picking up the wheels. Talked about my build and they said I should have the rear end cambered -1*. thoughts??? That yellow Z06 yours too? Nice work so far, Asif. I personally verified rim dimensions during the 2009 Nationals - it was a tech item. So far, the MB Comps have held up VERY well to competition use. Inexpensive, relatively light, and easy to obtain via Discount Tire Direct's website. Regarding your cambered rear question - if you have the $$ and time, have it done. If you are trying to keep a cap on your budget, focus on getting everything else done, and getting the car to the track for shake down time. I'd like to comment on your race seat - from experience, I would only order a seat with the integrated head restraint/halo. I'll acknowledge, for me, it's a personal preference, but IMO, it's much easier to have the halo then deal with the right-side head restraint net. Back in late 2008/early 2009, I put an UltraShield with the halo in my CMC car, and love it. thanks for the comments. in the pics of your seat, is that an accusump on the trans tunnel? update... main hoop is taking shape! Greetings from a fellow AMC'er. 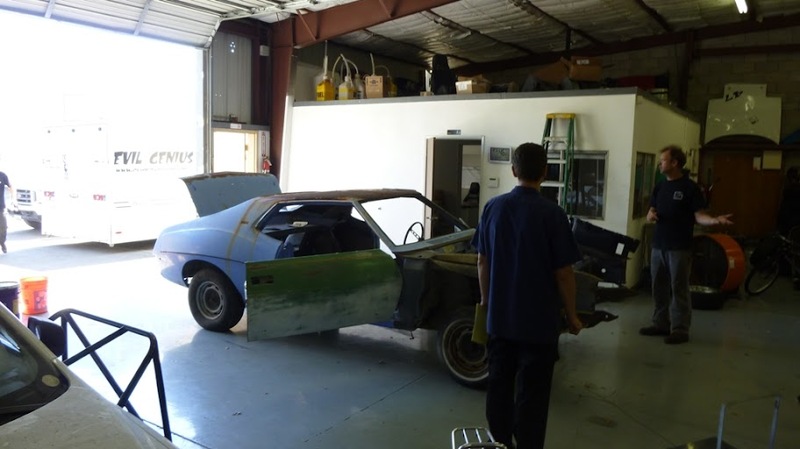 Followed you over from the AMC forum so I can keep tabs on the build. Going to do something similar with a clean 71 401 Javelin SST. hey Scott, sounds good. we need more AMC race cars! where are you located? are you going to build just a track toy or are you going to actually race it? if so where? post some pics! few more pics... btw, one of the reasons I'm posting this here is so you guys can keep tabs on what I'm doing and make sure I don't screw something up. If you see anything you don't like, speak up! Thanks! If you see anything you don't like, speak up! Have you talked to a local tech person about the s-bend in the door bars? And the distance from the corner where the upper diagonal attaches? Have you talked to a local tech person about the s-bend in the door bars? While unsupported S-bends aren't exactly the "structurally preferred" method of making side bars, the CCRs do not disallow them. With that being said, my cage definitely will not have them. And the distance from the corner where the upper diagonal attaches? One (1) diagonal brace shall be used in the same plane as the main hoop. The diagonal should be one continuous path; meaning that it must conform to Diagrams 15.6.7a or 15.6.7b. Note- If the installation method from Diagram 15.6.7b is used, the builder should pay close attention to alignment. 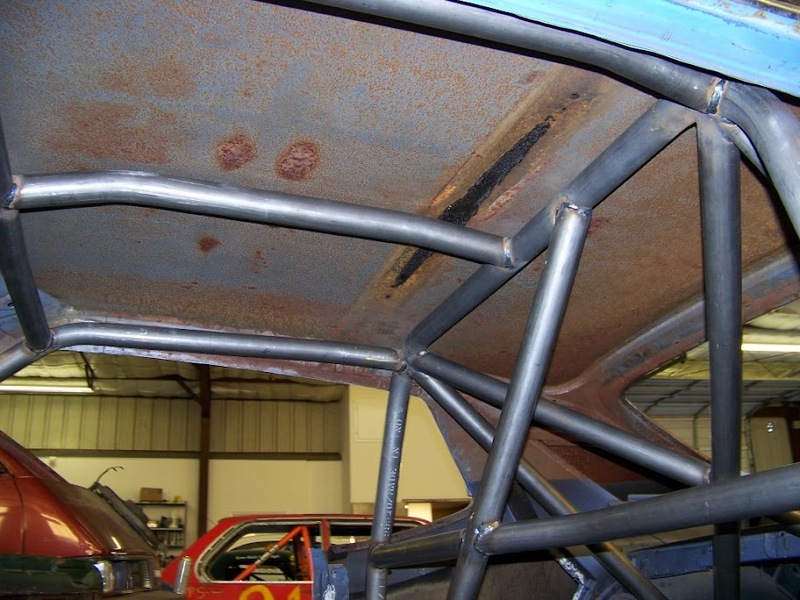 One end of the diagonal brace shall attach to the corner, or horizontal part, of the main hoop above the driver’s head, within twelve (12) inches of the driver’s-side corner. 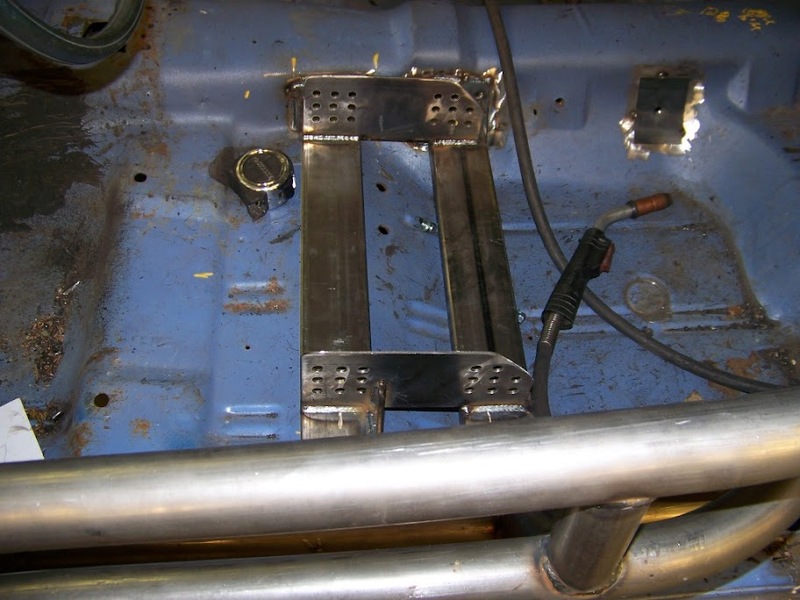 The other end of the diagonal brace shall attach to the mounting plate (or to the main hoop as close to the mounting plate as practically possible) diagonally opposed to the driver’s head (passenger floor). 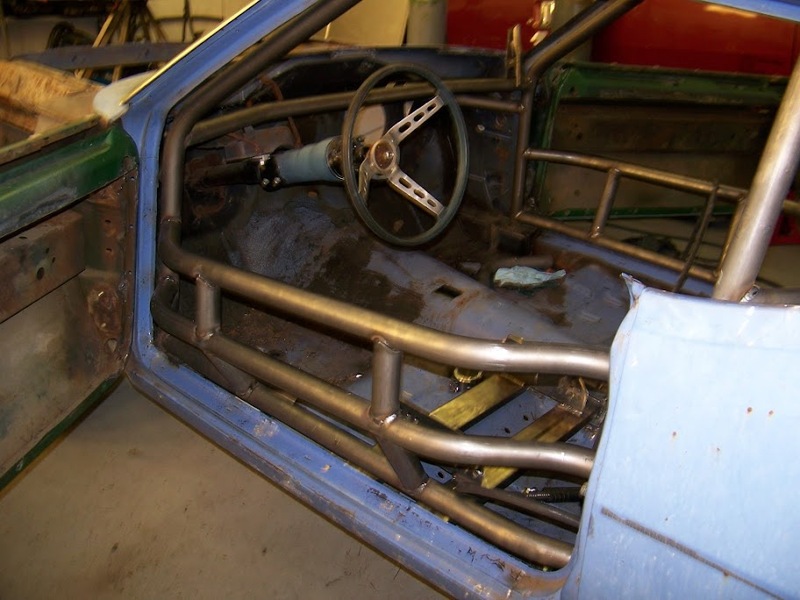 So, as long as the diagonal brace attaches to the main hoop within 12" of the driver's side corner, it will be fine.